RUSSIA'S PRESIDENT VLADIMIR PUTIN HAS SIGNED THE LAW WHICH BANS THE ADOPTION of Russian orphans in the United States. It is still unclear what will happen with adoptions that were already under way. Please pray for these families and for the children who are anticipating finding their forever families. Big Family Mission has always encouraged adoption of Russian orphans by families in America, in Russia, and in other countries; however, we are not directly involved with adoptions. 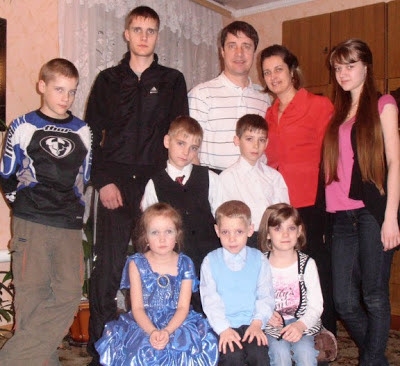 Big Family partners with Russian churches and ministries which help orphans who have little chance of being adopted. We are involved with helping children, and not politics, so we anticipate that the new law will not impact our work in Russia. Please continue to pray for orphans around the world! Here's a link to the latest news story about the ban on adoptions .